The interim budget has given a lot to cheer for both home buyers and real estate developed by providing a set of tax reliefs and concessions. In a major relief to the sagging sector the finance minister has announced that builders holding unsold inventory up to two years (as against one year before amendment) from the project completion will not be required to pay tax on notional rent. Further, it said benefits under Section 80-IBA of the Income Tax Act for extended for one more year. This will enable creation of more homes under affordable housing. This will be applicable to housing projects approved till 31st March, 2020. The other concession that the Budget is extended is in the form of relieving the taxpayers from payment of tax on notional rent value of the second house property held by them. For families which have more than one house – one in the home-town and the other in a location where family members work or have a job - currently, income tax on notional rent is payable in such cases i.e. if one has more than one self-occupied house. Considering the difficulty of the middle class having to maintain families at two locations on account of their job, children’s education, care of parents etc, the Hon’ble Minister mentioned a proposal to exempt levy of income tax on notional rent on a second self-occupied house. The benefit of rollover of capital gains under section 54 of the Income Tax Act has been proposed to be increased from investment in one residential house to two residential house for a tax payer having capital gains up to Rs 2 crore. This benefit can be availed once in a life time. The finance minister gave the example of Mumbai, wherein a family sells a house in South Mumbai and buys two houses in suburban Mumbai, and the benefit of this was availed only on one of the new homes. Describing this as something that is becoming a norm across urban centres in India, he said this would help families in a similar situation. Reacting to the development, Shishir Baijal, chairman & managing director at Knight Frank India, an arm of the international property consultants, said the budget has ensured better liquidity and lower tax burdens on the purchase of homes. “The benefit of rollover of capital gains has been inc­r­e­a­sed from one house to two ho­uses, upto Rs 2 crores (on­ce in lifetime), is a tremendous step by the government that will boost sales in both primary and secondary markets,” he pointed out. Baijal also said a back of the envelope calculation on the new standard deduction rates and other direct tax sops give a figure of an annual taxation exemption of almost Rs 7- 9 lakhs per annum. He said a fair part of the savings from this could be channelised towards real estate. “This will give developers a big relief allowing them to concentrate on sales strategies,” Baijal said. To further boost the affordable housing, the gover­n­ment has extended the be­n­efits Under Section 80 (IBA) till 31st March 2020, he said. The government’s co­mmitment towards affordable housing continues and we expect to see more such pr­ojects coming into the ma­rket. The demand for ho­u­sing is strongest in the aff­o­r­dable segment, he pointed out. Anuj Puri, chairman at Anarock Property Consultants said the government’s extension of tax exemption for developers by one more year, up to 2020 would boost the affordable housing segment. “The extension of taxing unsold inventory up to two years will benefit the housing sector, as currently there are more than 6.73 lakh unsold units across the top 7 cities,” Puri said. Also, there would now be no tax on house rents up to Rs 2.4 lakh from the previous limit of Rs 1.8 lakh, he said. “This can attract more investors to buy second homes for earning rental income,” Puri pointed out. According to Niranjan Hiranandani, national president at National Real Estate Development Council (NAREDCO) and chairman and managing director at Mumbai-based Hiranandani Group the budget makes both developers and buyers happy. But the budget he said once again missed giving the real estate sector the much needed industry status and not restricting it only to the affordable segment. JC Sharma, vice chairman and managing director at Bangalore-based Sobha said additional deductions such as interest on home loan up to Rs 2 lakh, interest on education loans, national pension scheme contributions, medical insurance and medical expenditure on senior citizens, the standard deduction raised from the current Rs 40,000 to Rs 50,000 would enable consumers to buy their first home and help augment the demand for housing in India. “Several such measures will create a favourable environment for homebuyers and developers,” he pointed out. 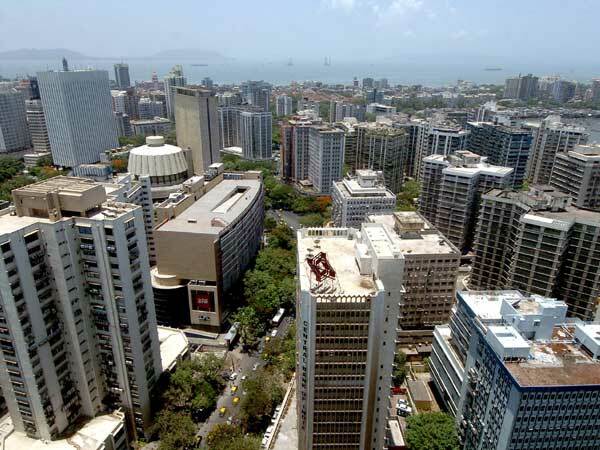 Girish Gundesha, a chartered accountant in Pune, said many measures and incentives introduced in this budget would spur buying houses by middle class across the country, including a second home. “Like me there would be many now who would plan to buy a home this year,” he said. Neeraj Bansal, Partner and Head, ASEAN Corridor and Building, Construction and Real Estate Sector KPMG in India said “interim budget augurs well for the Real Estate Sector.